When buying or moving into a new home, often we are in a rush to get settled in. However, before moving in, consider repainting the home first. When you move into a home and you already have plans to repaint the home to fit you and your own personality, it is far better to paint before moving in. For those who find themselves in this situation, McKay’s Painting would like to share why it is beneficial to paint before moving and a few considerations when painting your new home. When buying or moving into a new home, you might find you want to change a few colors or perhaps the entire home needs a fresh coat of paint. Often we buy a home with a great floor plan but with some of the worst colors that will eventually drive you insane if it’s not changed. One benefit of painting before you move in is simply covering up the colors you simply cannot abide. Each person varies as to what colors they like and in what areas. Therefore, it is important to enjoy your new home and not hate it until you get around to repainting it later. It is also much easier to paint a home while it is empty. 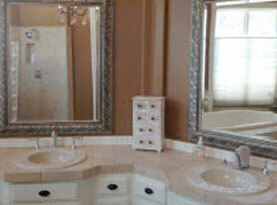 When trim, ceilings, walls, and cabinets need to get repainted or stained, it is better to do it in an empty home. This way you don’t have to worry about getting paint on furniture and you’ll have plenty of room for ladders and other materials for painting. Lastly, many people don’t like the scent of paint. Some people are very sensitive to the VOCs toxic in paint. Even though they are not life threatening, they can cause headaches and other minor symptoms. This is one reason you’ll want your new home painted and aired out before you move in. When preparing for a move, most people would love to have their new home repainted before they move in. However, it can be hard to find the time to paint, pack and complete all of the other tasks that involves a move. If you want your home repainted, consider seeking out a professional painting service. You can have the home, trim and cabinets all painted without needing to dedicate the time to painting your home yourself. 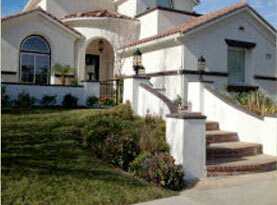 You can have the exterior and interior of the home painted within a few days with a professional painting service. Whether you do your own painting or use a painting service, you will want to go through each room in the home and create a list of what you will want painted. You’ll want to look at the trim on ceilings and walls. 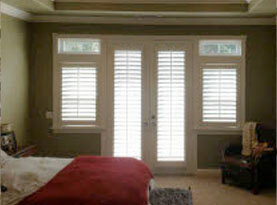 Mark down what you want done in each room and what colors you will want to paint on the ceilings, trim and walls. The rooms you wish to paint need to be measured so you can determine the square footage of the surfaces you will want painted. This can help you determine a list of materials and the amount of paint you will need for each room. If you are moving into a home and find you don’t have the time or tools to have your home painted before you move in, contact McKay’s Painting and schedule our quality services today. 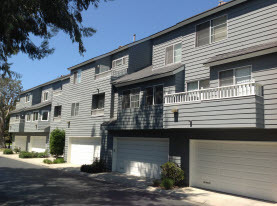 When Does Wood, Vinyl, Aluminum & Other Siding Need to Be Replaced in Isla Vista, CA?